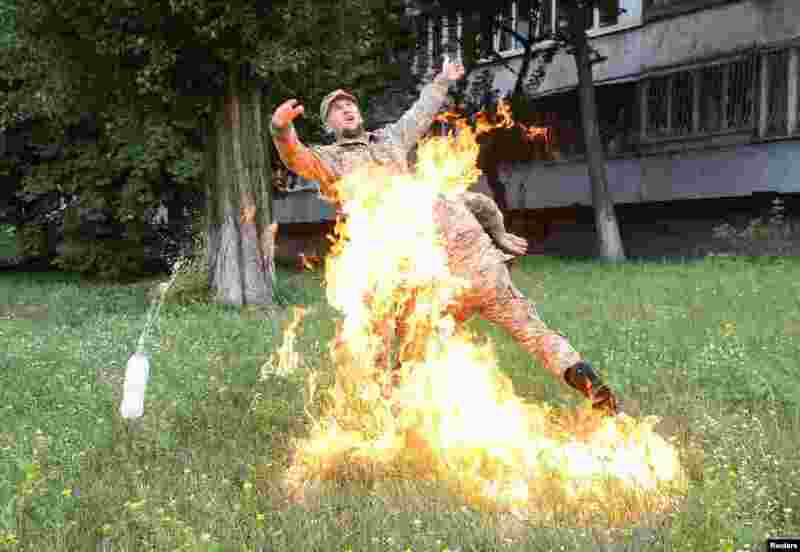 1 An officer on duty attempts to knock down the flame as Ukrainian former serviceman Serhii Ulianov sets himself on fire while protesting against his dismissal from the Armed Forces in front of the Ukrainian Defense Ministry headquarters in Kiev, Ukraine. 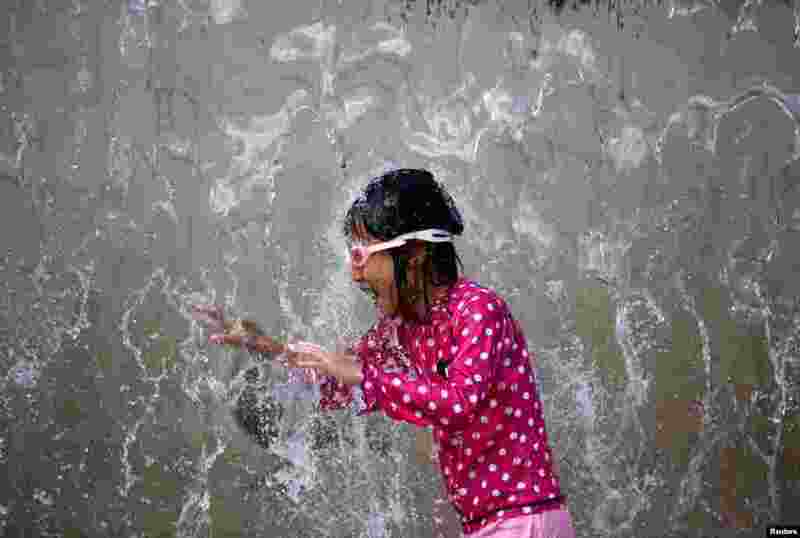 2 A girl plays in a fountain to cool down at a park during a hot summer day in Tokyo, Japan. 3 Performers from Gandini Juggling rehearse their act "Cascade" ahead of a festival of contemporary circus at Somerset House in London, Britain. 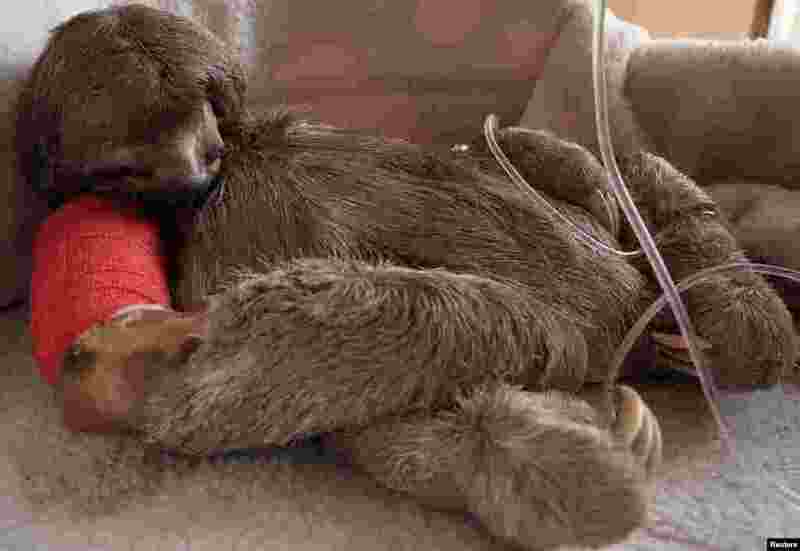 4 A sloth called Pancho, hit by a vehicle, is seen after a surgery at the Agroflor animals refuge in Cochabamba, Bolivia.